Susan A. Miller is from Tiger Clan and Tom Palmer Band of the Seminole Nation. Trained as a historian (Ph.D. University of Nebraska 1997), she is on the faculty of the American Indian Studies Program at Arizona State University. 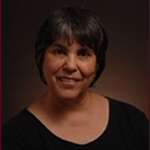 Her writings include Coacoochee’s Bones: A Seminole Saga (University Press of Kansas, 2003); “Seminoles and Africans under Seminole Law: Sources and Discourses of Tribal Sovereignty and ‘Black Indian’ Entitlement,” Wicazo Sa Review: A Journal of Native American Studies 20:1 (Spring 2005), pp. 23-47; “Licensed Trafficking and Ethnogenetic Engineering,” American Indian Quarterly 20:1 (Winter 1996), pp. 49-55; reprinted in Natives and Academics, edited by Devon A. Mihesuah, pp. 100-110 (University of Nebraska Press, 1998); and other works.